Facebook is on an aggressive push to gain users in emerging markets, and on Thursday it began tackling a new task: making money from them. With more than a billion users, the company's footprint already extends to almost every country on Earth, but the Facebook seen by users in one country can be very different from what their neighbors get. That poses a problem for the company. Differences in cellular connection speeds and phones mean that posts, photos or ads loaded in a fraction of a second on 4G connections could take minutes to load for users in remote areas. It's an annoyance for users and a problem for Facebook as it tries to sell ads. The company has already released a stripped down version of its app that loads faster, and now it's launching a new type of ad called a slideshow. While available on a standalone basis globally, Facebook envisages it replacing conventional video ads on slow connections and it gradually displays a series of images with text superimposed upon them. Facebook says Slideshow ads require just one-fifth the bandwidth of a regular video ad. "We want to ensure our ads work, even on slow connections," said Kelly MacLean, a product marketer for emerging markets, during an event at the company's Menlo Park headquarters. 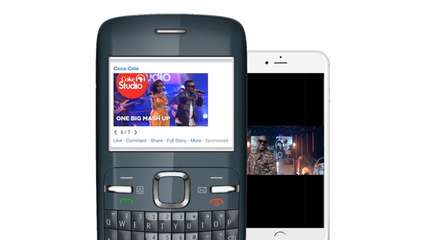 The new ads, which Facebook has already tested with major brands such as Coca-Cola and Dettol, mirror under-the-hood changes that make all of Facebook more tolerable on slow connections. For example, a recent change altered the way entries loaded in the News Feed, making more use of caching and preloading so users didn't face blank gray boxes and annoying waits for items to appear. The strategy is an important one for Facebook, which estimates 62 percent of its future growth will come from emerging markets. To keep on growing at a fast pace, it's vital for Facebook to hook these users and then sell ads. Facebook estimates a third of its next billion users will come from India alone. "India is almost entirely 2G," said Chris Cox, Facebook's chief product officer. "In Delhi at night, one in five network connections are dropped." 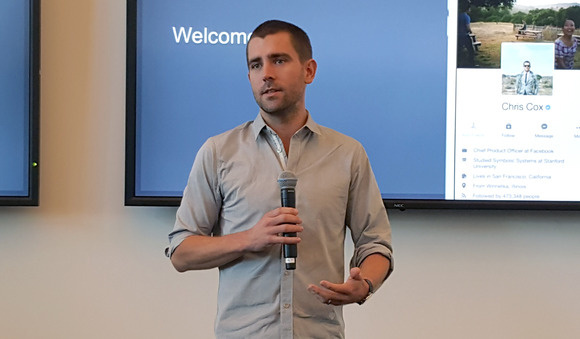 Chris Cox, chief product officer at Facebook, speaks to reporters at the company's Menlo Park headquarters on Oct. 29, 2015. India is one of two developing markets that Facebook has been aggressively courting. The other is China. CEO Mark Zuckerberg hosted Indian Prime Minister Narendra Modi last month in Silicon Valley, just days after he met Chinese President Xi Jinping at a White House dinner. This month Zuckerberg is on high-profile business trips to both countries. 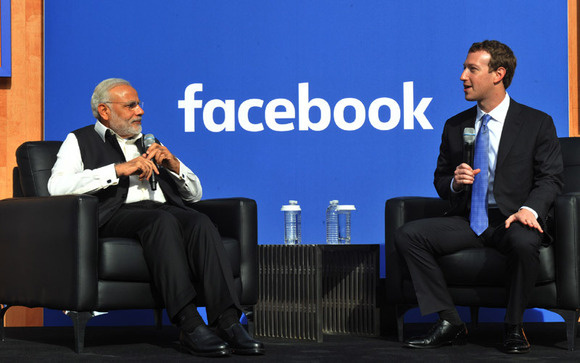 Indian Prime Minister Narendra Modi and Facebook CEO Mark Zuckerberg speak at Facebook's headquarters in Menlo Park, CA, on Sept. 27, 2015. To help the iPhone-toting, 4G-subscribing engineers at Facebook empathize with these new users, the company recently launched "2G Tuesday," where staffers at its headquarters can voluntarily experience 2G connection speeds for an hour each week. For some, an even bigger cultural shock is coming. Cox said he's mandating some of his staff to switch from iPhones to Android phones, because that's the dominant smartphone platform of this next billion users.